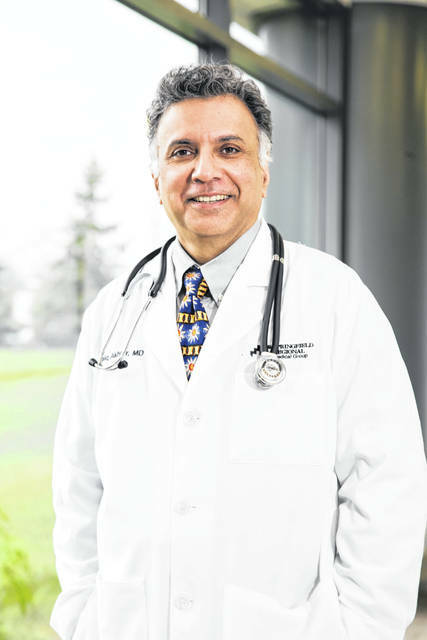 Faiq Syed Mohammed Akhter, M.D. SPRINGFIELD – During February’s Heart Month observance, Mercy Health encourages people to know their risks for heart disease. Cardiovascular disease, which includes heart disease and stroke, is the number one killer of both men and women. Learning the symptoms and risk factors associated with cardiovascular disease is the first step to prevention and seeking treatment. Mercy Health cardiologist Faiq Syed Mohammed Akhter, M.D., said that while symptoms such as uncomfortable pressure or pain in the center of the chest tend to be the most common, there are others not as common, but equally dangerous. Nausea, dizziness, stomach or abdominal pain, shortness of breath, sweating, weakness or fatigue may all be indicators of a heart attack. Women and diabetics may be more likely to experience symptoms outside of the classic chest pain. Be aware of all heart attack symptoms, especially if you have the following risk factors: tobacco use, high blood pressure or cholesterol, lack of physical activity, obesity or extra pounds or if you have a family history of heart disease. Even the smallest changes in diet and exercise habits can reduce the risk for heart disease. Start by focusing on the risk factors that can be treated and controlled, such as high cholesterol, alcohol intake and tobacco use. If you experience any of the symptoms mentioned above, or if you think may be at risk for heart disease, contact your physician. Mercy Health cardiologists practices from locations in Springfield and Urbana. For more information or to make an appointment, call 937-323-1414.
https://www.urbanacitizen.com/wp-content/uploads/sites/36/2019/01/web1_Dr.-Akhter.jpgFaiq Syed Mohammed Akhter, M.D.